Set the stage for reading success with these word-family activity packs created by reading specialist! Perfect for in-class use or homework. For use with Grades K-2. Lisa McKeon is a reading specialist, living in New York City. 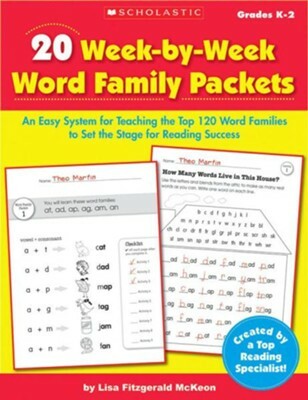 I'm the author/artist and I want to review 20 Week-by-Week Word Family Packets.